If you have a CDROM drive that operates at 48X speed or higher, then you might not want to sit directly in front of your computer when it is reading a CD. There is a slight risk, documented by CDROM manufacturers, that a flawed or unbalanced CD disc might explode when spinning at the high speeds attained by modern CDROM drives. According to the data published by CD manufacturers, the likelihood of a CD shattering due to a defect in the disc media is only around one in 10,000. But there are risk factors that can make it more likely. 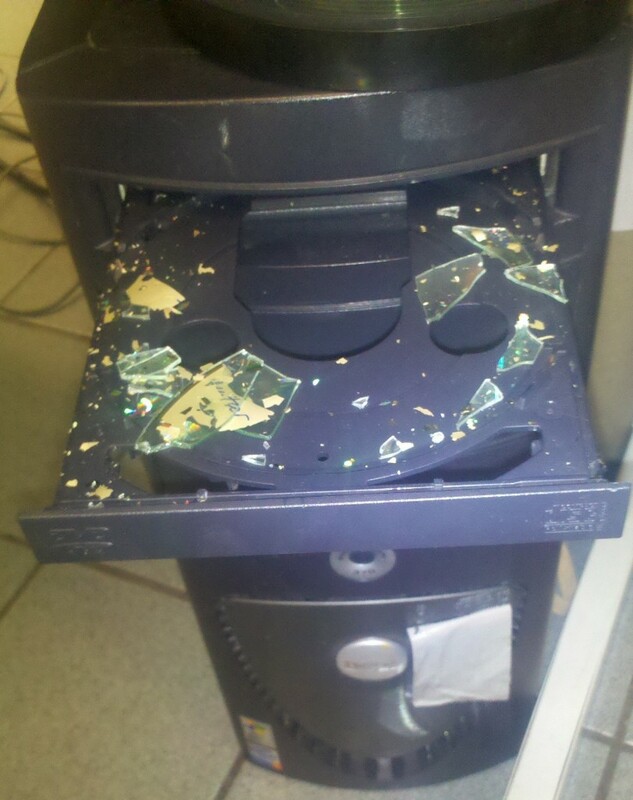 CDs that are old, scratched or cracked are much more likely to self-destruct while in use. Discs that are unbalanced also increase the risk of data detonation. The most likely cause of this is an off-center label, so keep that in mind if you burn CDs and apply labels yourself.CDs may develop cracks as they age, especially if they’re not cared for properly. Store CDs in a jewel case when not in use, and check frequently used discs for cracks before popping them in the drive. 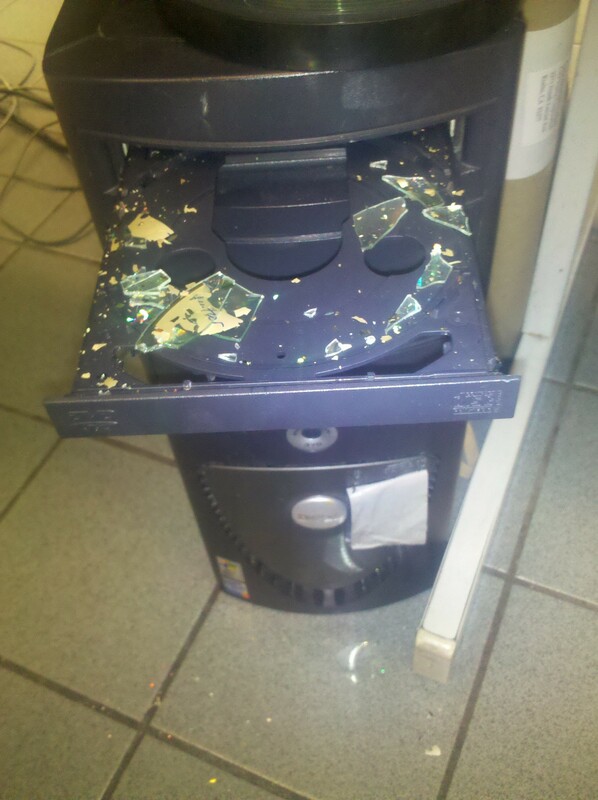 If you do experience an exploding CD, it’s also possible that the drive was at fault. Contact the retailer who sold you the drive or disc, and you may be able to recover some of your losses.